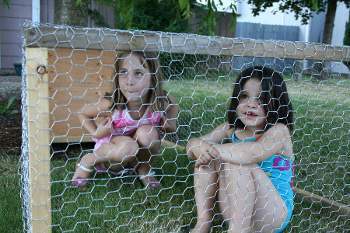 Home/Caring for Chickens/Here’s Where My Chicken Coop Journey Began, Does It Sound Like Yours? About 15 years ago, I was still in high school. My folks lived in Alaska, and I stayed with my Grandparents during the school year. My Grandpa had a farm with an old milking cow, and I would go out with him, sometimes, and help milk her. Everyday I got to enjoy fresh dairy milk. Then, a little later in the day, we would go out to his big old chicken coop, gather up the eggs. And we would throw down some chicken scratch for the chickens to dig around in. I always enjoyed helping him out on his farm. But you know, I was young. All I thought about was sports (and girls- of course). And I didn't realize what my Grandpa had. It was always peaceful at their house. There was a quiet stillness about their life that was so relaxing. We ate great tasting food together. I always enjoyed getting up early, sitting around sipping hot chocolate and talking about the day with them. Now, warp ahead with me to the year 2007. I had 2 girls by now and we live right SMACK, in the middle of a city. By most standards, our yard is bigger than many new modern homes in our area. Instead of 5000 square feet, we actually have a 13,000 square foot yard. But it's nothing compared to the acres my Grandpa used to have. And even with today's 'HUGE' yard, we rarely have time to get out and garden, or even play outside anyhow. It seems I'm always working long hours and then trying to keep up on the housework. Living in small spaces and working a corporate job has meant that I had to lose that close contact with the land and with nature. But that love of nature has never left me. And I often catch myself day-dreaming about having some space to roam, and leisurely taking care of some animals. The truth is, I grew up loving that peaceful lifestyle. And now that it's gone, I long to have it back. I love the chance to get a little closer to natural food, and animals, and letting my girls get their hands dirty, and just spending time outside. And I love that even in a sprawling metropolis, you can still have a little bit of space to connect and get back in touch with those old sentiments. So I built 2 mobile chicken coops. FROM SCRATCH. In an attempt to get back to my bygone days. And even though I told you that I used to spend time on the farm with animals, I NEVER used to help build anything. I'm not a macho construction worker. And I don't play one on TV. If you knew me, you'd know that my mechanical skills are seriously lacking. But this project was an awakening for me. I have done things and thought in ways that I didn't know my mind OR body could. And I got the blisters and slivers to prove it.